As personal injury lawyers, our injured clients often come to us for assistance in resolving the damage to their cars as a result of accidents, or in obtaining a rental car (we do this for no charge as a courtesy to our clients). But most auto accidents claims do not involve physical injuries, and most people end up handling these claims without a lawyer (even if they wanted one, most car accident lawyers - including us - are not interested in handling property damage only claims). As a result, the insurance company sometimes tries to take advantage of the victim in property damage car accident cases. This guide is intended to explain common problems in these areas and assist accident victims in protecting their rights. This advice is based on Maryland law. But the advice is applicable in most jurisdictions. Who is responsible for paying my property damage? A look at the scenarios and how to maximize how much you get and how fast you get it. The accident was their fault. Why can’t I get a rental car? This is a common source of frustration. You know the accident wasn’t your fault, but the other driver’s insurance company won’t “accept liability” and put you into a rental car. This is usually because the carrier has not been able to contact their insured driver to obtain their version of the accident. The insurance company has a contractual obligation to their insured to investigate before paying benefits. Normally this entails getting their driver’s version of events, even in clear liability collisions. The best way to get around this is to get a rental under your own collision coverage policy, if it is covered, or to pay out of pocket for a rental and get reimbursed once liability is accepted. Of course, most of you reading this are getting the "get rental insurance" advice a little late. The insurance company won’t pay enough to pay off my loan. What can I do? Maryland law and the law of most other states on the issue of vehicular damages is that the victim is entitled to either the cost of repairing the vehicle or the fair market value of the car if it is a total loss. Fair market value generally means the amount you could get for the car if you put an ad in the paper and tried to sell it. The Kelly's Blue Book private party value is a good way to estimate the fair market value. If what the insurance company offers is in the neighborhood of that value, it is probably accurate. Unfortunately, most states (including Maryland) do not require payment of replacement value. This is a problem for two kinds of people. First are people who owe more on the vehicle than it is worth. They very well may end up making payments on a loan for a vehicle that has been totaled out. (GAP insurance solves this problem but if you are reading this and do not have GAP insurance, the horse is already out of the barn). Second are people who have an older vehicle that is good basic transportation but has a low resale value. (It may be worth only $3,000 at a car lot to someone else, but you know you have a good reliable vehicle that you trust.) Often they are unable to recover enough to buy a similar replacement vehicle. This is an area where the law is not favorable to consumers who suffer property damage in an auto accident. No. You can have your vehicle repaired anywhere you choose. The insurance company will only pay what it thinks is the reasonable cost of repair, however. If the repairs run over price, or additional work is required, the shop will have to get approval from the insurance company to make sure they will be paid for their work. Often it is more convenient to use the insurance company’s approved repair shop because they have an easier time working through these kinds of issues with the carrier. They are saying I will be liable for storage charges. Is this true? You might. 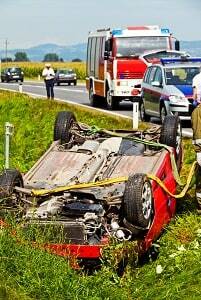 In Maryland, there is a duty to mitigate damages in property damage car accident cases. This means you can’t allow the vehicle to sit in storage, accruing storage fees, while you wait for the carrier to assume liability or to arrange for repairs. The best thing to do in this situation is to see if the insurer is willing to remove the vehicle from the tow lot to their storage facility, where it at least will not accrue more charges. Otherwise, it’s best to pay off the charges if you have the ability to do so. Why won’t the insurance company send me a check until they talk to the car finance company? If a vehicle is totaled out, the carrier will need to get the title transferred to them so the vehicle can be sold for salvage. In order to do this, the bank or finance company must release their interest in the vehicle. This means that the insurance company will need to find out the amount outstanding on the car loan, and pay off what is owed (if it is less than the fair market value of the vehicle). This means the finance company will be sent a check for their interest in the vehicle, and any money left over will go to you. How much money will I really get when all is said and done? I got a rental car. How long can I stay in it? You will normally be entitled to a rental until the repairs to the vehicle are completed or until the insurance company issues you a payment for the total loss of the vehicle. If there is a delay in this process, sometimes the insurer will agree to a reasonable extension of the rental to allow for it. The vehicle in the accident was a truck, but they want me to take a compact as a rental. Can they do that? No. The rental should be a vehicle comparable to the one it is intended to replace. This is often important where the driver needs a particular type of vehicle for work or business. The insurance company should at least provide a rental that is suitable for the same purpose as the car that was damaged. Now, you do not want to cut this too thin by demanding the exact same car on every level. Reasonableness should carry the day. But it should be the functional equivalent of the car that is damaged or totaled. 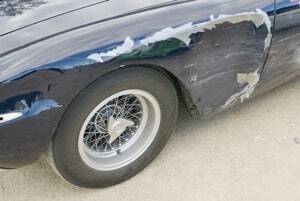 If I use my collision coverage, what about my deductible? There are two ways to handle this. In the short term, you are out the deductible until it can be reimbursed. Either your own insurance company will recover the amount of the deductible for you from the other driver’s insurance once liability is resolved, or your attorney can include that with your damages and try to recover it as part of your case. If I have an injury claim is my lawyer going to charge me to handle my property damage claim? It depends on the lawyer, of course. Our law firm does not take a contingency fee for property damage or - unlike many other lawyers - the client's personal injury protection (PIP) insurance. But, again, to be clear, our law firm does not handle property damage only cases. How do I pursue my own property damage claim in court? It is difficult because there are often local rules that require following procedural rules to make a claim. (In Maryland, for example, Maryland Courts and Judicial Proceedings Code Annotated § 10-105 controls property damage claims where the full claim is over $5,000.) So if you cannot find a lawyer for your property damage claim, you are going to have to figure out your state's procedural rules. Substantively, you must be prepared to back up any damages assertions you make. You should have your own estimate of the vehicle damage, or if it is a total loss, your own numbers establishing the fair market value. Try the NADA guide as one measure of value. Nowadays many clients are concerned with the loss of resale value of an automobile as a result of having been in an accident. Information services like CARFAX make accident information easy to obtain, and easy to factor into what one is willing to pay for a used car. Often insurance companies take the position that there has been no loss until the vehicle is actually sold for less. To prove this type of claim, make sure you are prepared with a lost value report, which can be obtained for a fee from a certified vehicle appraiser (who you may or may not have to bring to trial, depending upon the amount of the property damage claim and your state's procedural rules. 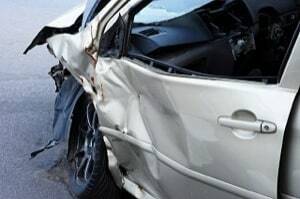 Our car accident lawyers handle serious injury auto accidents cases in the Baltimore-Washington area and have prevailed at trial in hundreds of car accident cases. Our car accident lawyers have also successfully settled thousands of cases for clients injured in automobile accidents, recovering millions of dollars in compensation for car accident victims by settlement or trial in 2008 alone. If you or someone you love has been injured or killed in a car accident, call us at 800-553-8082 or get a free consultation via the Internet.